We have started researching and developing the "GentleLock HAP"
which is the technology to lock only happy haps in our world gently. We long to meet a special HAPpening to success this project. GENTLELOCK has been developed in a spirit of 'Sanpou yoshi' which is a traditional merchant saying in Japan. 'Sanpou yoshi' means 'benefit for all three sides; the seller, the buyer and society'. 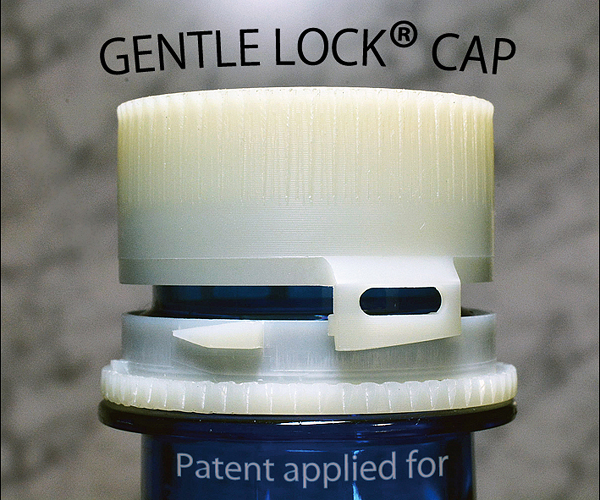 We have applied it to our craftsmanship and now we introduce GENTLELOCK® CAP as the first product. GentleLock Cap was developed in pursuit of "Accessibility" which is one of our important themes and actually corresponds with 4 principles stipulated by WCAG (Web Content Accessibility Guidelines), 1: perceivable 2: operable 3: understandable 4: compatible. 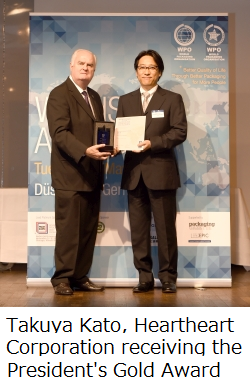 WCAG are published by the World Wide Web Consortium (W3C), the main international standards organization for the World Wide Web and W3C have succeeded in making rules for providing many people standardized services. 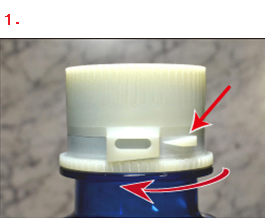 We think it is important to apply such rules to packaging, because products useful for various users can give a feeling of satisfaction by their "messages" with their "shapes". Let's see the functions of GentleLock Cap from the standpoint of 4 principles above. GentleLock Cap has features as below. In this matching, although caps and IT equipment seem to be in far different fields, we recognize that they have exactly the same goal in the viewpoint of "Accessibility" because both of them are operated by human "touches". Developers design them while thinking how to satisfy visual, cutaneous, auditory and color sensations of users, and for fingers, eyes or other sensory organs there is no essential difference between IT equipment and caps. In the product developing area we have been researching on the improvement of "Accessibility" in various fields. GentleLock was developed in those researches and it was awarded some prizes, for us it is unexpected happy happening, when we feel that it is expected in this age, we feel stronger that the awards are not for the product but for the point of view. 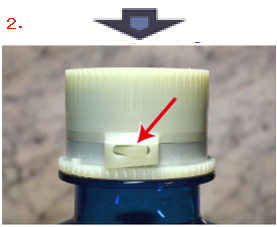 If our researching and developing contribute to you in areas of caps or packaging, we are so happy. 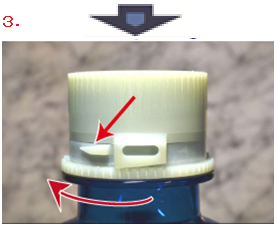 Turn the ring under the cap in order to lock. When locked, the wedge completely fits in the frame. ...the wedge is not seen. ...the wedge is not sensed. Turn the ring further in the same direction to unlock. Easy for use for everybody including visual handicapped people and also in darkness (movie theaters etc.) or mountaineering. User Friendly : Opened-closed in the usual manner, and locked-unlocked with simple operation. Maker Friendly : Reasonable costs with common materials and simple structure. For any queries or requests regarding GentlLock®, please do not hesitate to contact us by e-mail. We have another website "GentleLock.com". If you are interested in business with GentleLock please visit there.